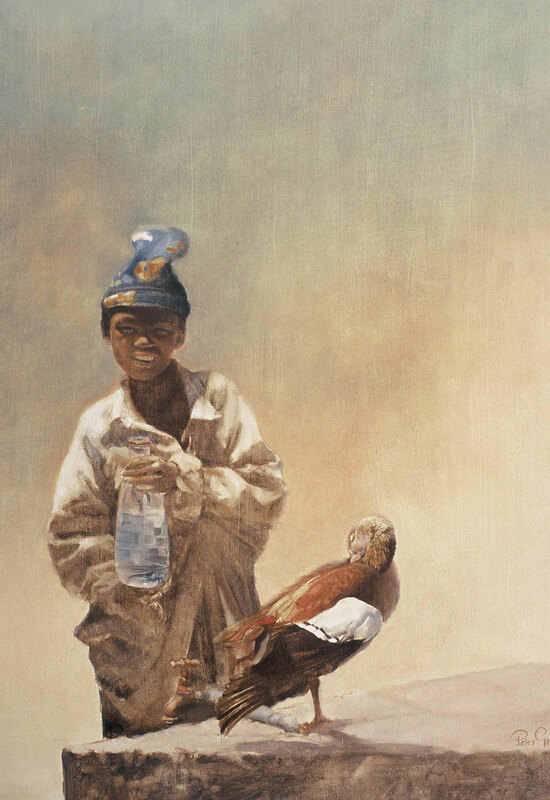 This piece was motivated by the same Karoo experience as “Boy with Cockatoo”, but includes the second boy who was also collecting water from the water point. The single, small brass tap had become an attraction for all sorts of birds and animals. I decided to include this little boy standing with his water bottle while an Egyptian Goose sat preening itself at the same time nearby. Collectively, everybody depended on this water as a source of life so there was an equality happening. Everyone was attracted to the same thing for the same purpose and then once they had collected their water, they would go and continue doing whatever they needed to do.